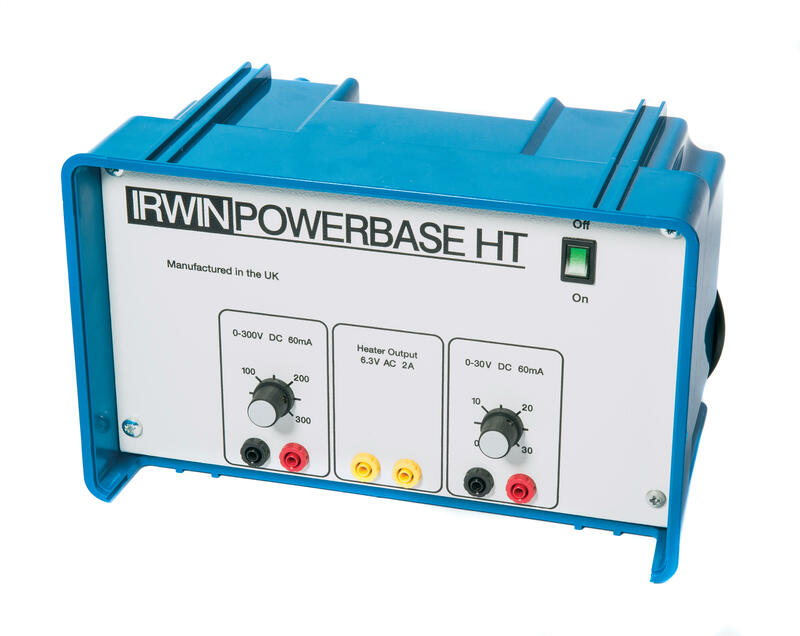 Our Powerbase HT unit supplies a constantly variable 0-300V D.C at 60mA and a separate constantly, variable 0-30V D.C. also at 60mA. In addition, it has a heater supply of 6.3V a.c at 2A to power up Teltron tube heater filaments. Both variable outputs are fully smoothed. Useful for powering valves, Teltron diodes, Millikan’s oil drop experiment and much more. • Supplied with fused mains plug, lead.